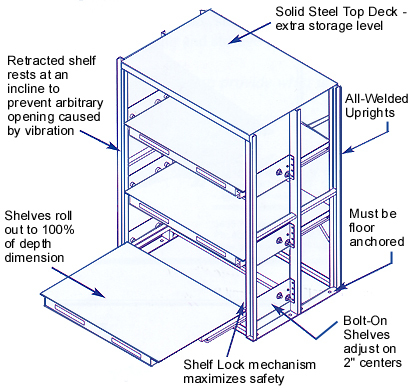 Engineered to last, all EZ-Glide Shelves extend to 100% to provide maximum storage. Anti-friction bearings combined with solid steel tracks assure rigid and easy-to-operate movement. Ten pre-lubricated, sealed bearings provide long life. To move a fully loaded 2,000-lb. 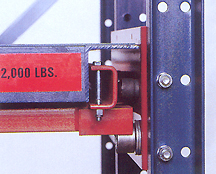 shelf requires as little as 15 pounds of force.